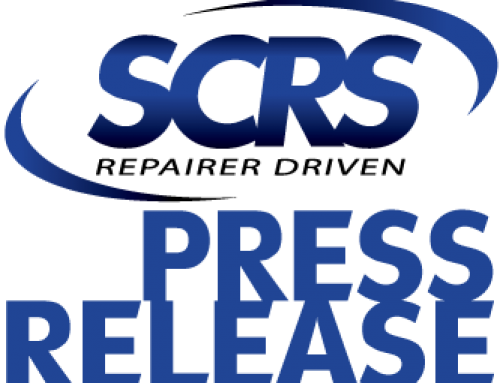 Prosser, Washington, October 18, 2018 – During the 2018 SEMA Show the Society of Collision Repair Specialists (SCRS) is holding the largest SEMA Show booth drawing the association has ever conducted from the SCRS booth. At 1:00 p.m. on Friday, November 2, SCRS will hold a drawing in their booth (North Hall #11173) for a show attendee to win a 14500A Inverter Spot Welder from Spanesi Americas, valued at over $28,000! The 14500A spot welder can weld all types of steel, from high strength to advanced high strength steels; it features fully automatic material recognition through its Smart Auto Set feature and available manual adjustments that allow the operator to adjust the welding parameters. To be entered into the drawing, attendees who visit the SCRS booth will be provided with a report card that features the locations of companies which have generously supported the SCRS Repairer Driven Education (RDE) series at the SEMA Show. Attendees who visit each sponsor listed will receive a stamp on the card from the company. Once a stamp from each sponsor company has been collected the completed card can be returned to the SCRS booth, prior to the deadline, to be entered into the SCRS booth drawing. No purchase or donation is necessary to enter or win. SCRS encourages Show attendees to come to North Hall booth 11173 early in the week to allow adequate time to visit the sponsor locations. To register for education, or for the full list of official rules, visit www.scrs.com/rde. The 2018 Repairer Driven Education series is made possible with support from PPG Automotive Refinish; AkzoNobel; BASF; CCC Information Services, Inc.; Sherwin-Williams Automotive Finishes; GM Genuine Parts; Spanesi Americas; Toyota Wholesale Parts; AASP; American Honda Motor Company; Axalta; Celette; Enterprise Rent-a-Car; LKQ Corporation; PBES; Pro Spot; Reliable Automotive Equipment, Inc. and SEMA. To learn more about SCRS’ education series at the SEMA Show visit www.semashow.com/scrs.